Escape the city in your own country retreat! This stunning home features fabulous wrap around front porch & guests are greeted w/ light and bright foyer as they enter this home filled with natural light shining through double paned windows. Designer colors/flooring throughout. Spacious formal dining w/ plenty of room for large table. Private study/formal living. Kitchen is chef’s delight w/ double ovens, tons of storage, high-level granite counters & subway tile backsplash. Kitchen is open to large den. Enjoy morning coffee or sunsets without mosquitos on huge 19×24′ screened porch/sunroom! Master bedroom privately set with private door to front porch. Master bath totally redone with light colors and large bath and sep. shower. Double staircase for privacy. Large upstairs gameroom & 2 full bathrooms upstairs. Charming gazebo w/ swing in your private backyard oasis. 3 car garage. Large shop, that could accommodate your RV or boat. Shop features multiple rooms and is very versatile. 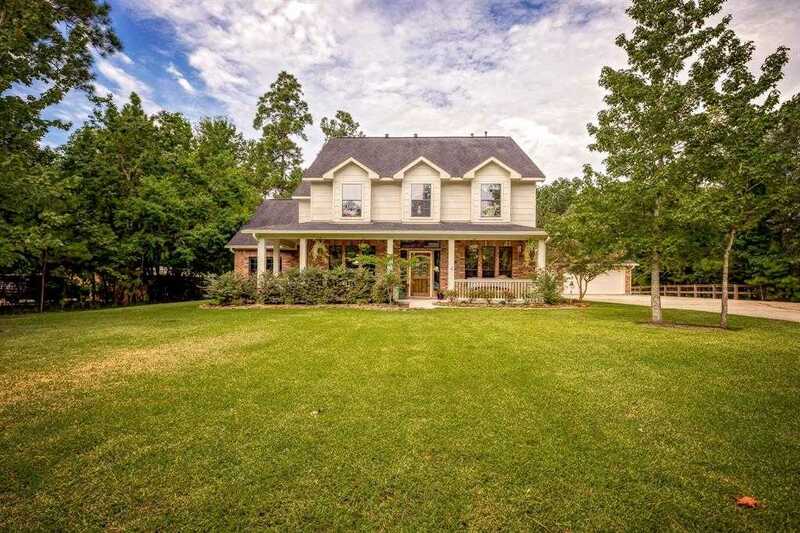 Please, send me more information on this property: MLS# 63441875 – $489,900 – 318 High Point Crossing Drive, Huffman, TX 77336. I would like to schedule a showing appointment for this property: MLS# 63441875 – $489,900 – 318 High Point Crossing Drive, Huffman, TX 77336.